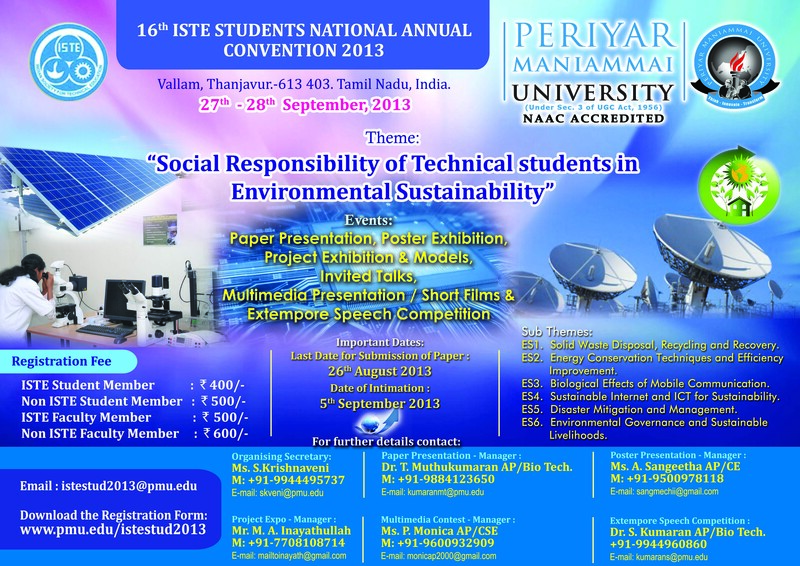 " ISTE 16thStudent annual national convention2013"
11th Annual Student Convention: Govt. Engg. College, Thrissur on 6th-7th September 2012. 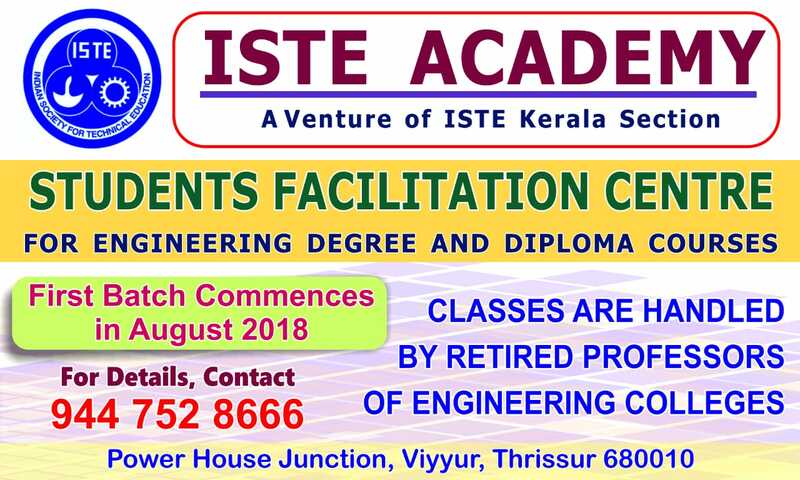 Vidya Aacademy of Science and Technology, Thrissur, 19 Nov 2011. 21st ISTE Annual convention at St. Joseph's Collge of Engineering & Technology, Pala on 20th November 2010. Govt. Polytechnic College Kalamassery (Ecotech 2011) 23-24 September 2011. Mohandas College of Engg and Technology, Nedumangad, 2010.